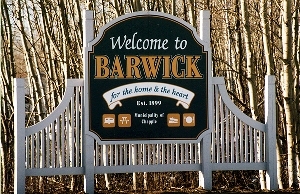 Barwick is a village of around 900 people just west of Emo. 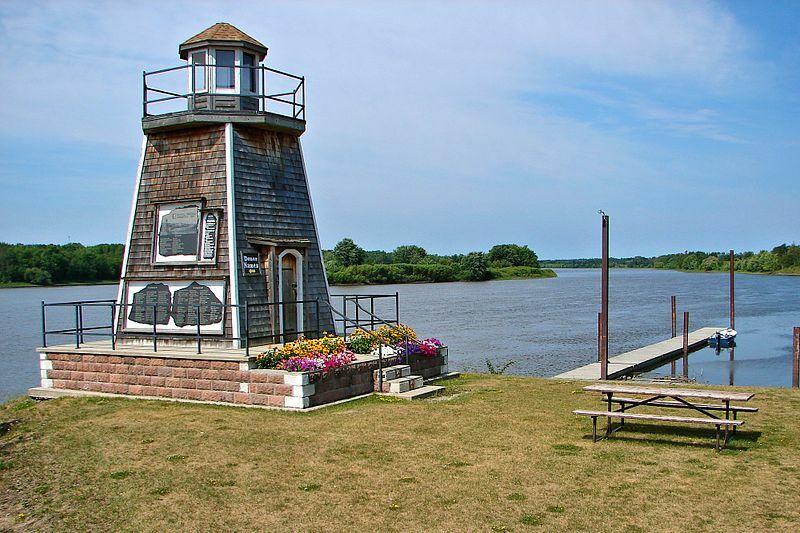 Barwick has Riverfront Park which provides nice views of the Rainy River. There is a boat launch and some picnic pavilions. Apparently, the area provides some nice birdwatching. There is also St. Paul’s Heritage Church in town. I assume it’s old. Barwick is also home to a lighthouse, not an old one but one built in 2003. There is some talk that there were lighthouses on Lake of the Woods in the past, but no confirmation of one being in Barwick. That’s what’s cool about so many towns on Highway 11 – when someone gets inspired, the community tends to get something done.The Chapple Museum is home to Barwick’s history. It is located at a former trading post, and now displays material from local farms, the old Hudson’s Bay Company post, local artists, and is home to a war memorial. There is a gas station, a RV/campground, a garage, a Christian school, four churches and an oriented-strandboard plant. You can take tours of the Voyageur Panel OSB plant by calling 807-274-2000 in the summer. And like all the surrounding villages, Barwick tries to lay claim to the Native historical centre as a local attraction, but it is in Stratton, one town west. This entry was posted in The Northwest and tagged big weird things, boating, dot on the map, waterfront by Highway11.ca Editor. Bookmark the permalink. I am also a descendent of the McNabb family. I have obtained some history of the Barwick McNabbs and would be pleased to share it with McNabb descendents. Not sure this is an “experience” but apparently my father and his family are from there.